In any other country, the appointment of Anna Kuznetsova as ombudsman for children’s rights would be deemed a win for feminism. She is a mother of several children, relatively young (thirty-four), a certified psychologist, a veteran of public organizations where she has helped single mothers, a woman from the provinces, and, finally, pretty and feminine. All these qualities set her apart in the positive sense from the Putinist bureaucracy. She could have been a style icon for feminists and liberals. However, the appointment has caused a flurry of attacks. The first wave of criticism hit Kuznetsova when it transpired her husband was a priest. The second wave rolled over her when it was discovered she supported the pseudo-scientific concept of telegony, long popular among the Russian Orthodox crowd. But is that so unforgivable? After all, the liberal segment of the Russian political elite features people like Garry Kasparov, who is fond of Anatoly Fomenko’s “new chronology,” and Vyacheslav Maltsev, an alleged psychic who is running in the number two spot on the PARNAS list in the upcoming parliamentary elections. Russian society is politically passive, but all the same it sees right though a person when a few details of his biography are outed. This applies to all of Putin’s recent appointments. Police general Tatyana Moskalkova was appointed the federal ombudsman for human rights, while Anton Vaino, grandson of the former head of the Estonia Communist Party and a specialist in protocol, was made the president’s chief of staff. Olga Vasilyeva, a former staffer in the presidential administration’s propaganda office, has been tapped as education minister, and now a priest’s wife, an activist with the pro-Putin Russian People’s Front (ONF), and the manager of a large grant program has been appointed the ombudsman for children’s rights. We really can see through all of them. Anna Kuznetsova’s appointment fits the pattern of how Putin has been reforming the upper ranks of the nomenklatura, a pattern that became obvious after a series of dismissals and appointments over the summer. Putin has been solving several problems. The whistle-blowing campaign in the liberal media and social networks against people from the president’s inner circle has borne fruit. Putin has been reacting to criticism from the urban middle class, including the liberal public, which he still fears, despite his ostentatious contempt for them and his reliance on his “base in the heartlands” as figured, allegedly, by the workers of the Uralvagonzavod tank factory, in Nizhny Tagil. He decided to clean the stables of wildly self-indulgent siloviki, governors, and old pals, thus seemingly pulling the rug from under the liberals’ argument. The sacking of Sergei Ivanov, his former of chief of staff, has been symbolic of this tack. Other controversial figures, like former education minister Andrei Furskenko, former Central Electoral Commission chair Vladimir Churov, and former federal ombudsman for children’s rights Pavel Astakhov, were ousted before the big 2016-2018 election campaign. And theirs are not the last names on the black list: culture minister Vladimir Medinsky, Federation Council member Yelena Mizulina, and Petersburg governor Georgy Poltavchenko have also been marked for possible sacking. Why, though, has Putin been replacing them with Russian Orthodox conservatives and anti-westerners rather than nominal liberals? Why have there been three Moskalkovas to every one Pamfilova? Through Kuznetsova and her husband, this hard-working family of provincial officials is linked to the Russian Orthodox Church. Through Viktor Bulayev, Yuri Bulayev’s brother, the family is linked to the Great Don Army. In recent years, Viktor, a former military man with combat experience in Chechnya and an ex-firefighter, has been an activist with the Great Don Army, the organization that seized the southeast part of Lugansk Region and was driven out by Russian special forces and Lugansk People’s Republic units in 2015. However, all of this is clearly insufficient to unleash a nationwide charity foundation. Kuznetsova’s foundation is called Intercession. It receives the bulk of its private donations from the Moscow-based Alexander Foundation, which also renders assistance to children, in Penza Region, via Intercession, and Smolensk Region, where it operates independently. In November 2014, the Alexander Foundation essentially became Intercession’s sole sponsor. The man behind the nearly anonymous organization is Alexander Popov, former head (2012-2013) of Rosnedra, the Federal Service for Subsurface Resources Management. A former staffer for Igor Sechin, Putin’s most trusted ally, Popov now runs Itera Oil and Gas Company, a wholly owned subsidiary of Rosneft, which is run by Sechin. The Alexander Foundation has the same address as Itera’s headquarters. 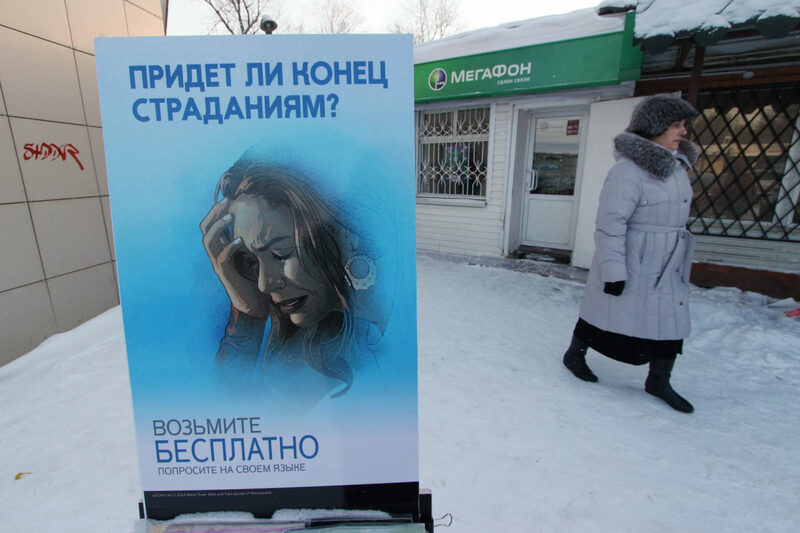 Another organization allied with Intercession (there are few such organizations identified on the foundation’s website) is the Penza branch of the Law and Order Center. This foundation for KGB-FSB veterans is an affiliate of the organization Officers of Russia. Nikolay Kovalyov, former FSB director (1996-1998) and longtime member of the State Duma (to which Kuznetsova recently tried to get elected), heads the Law and Order Center’s expert council. 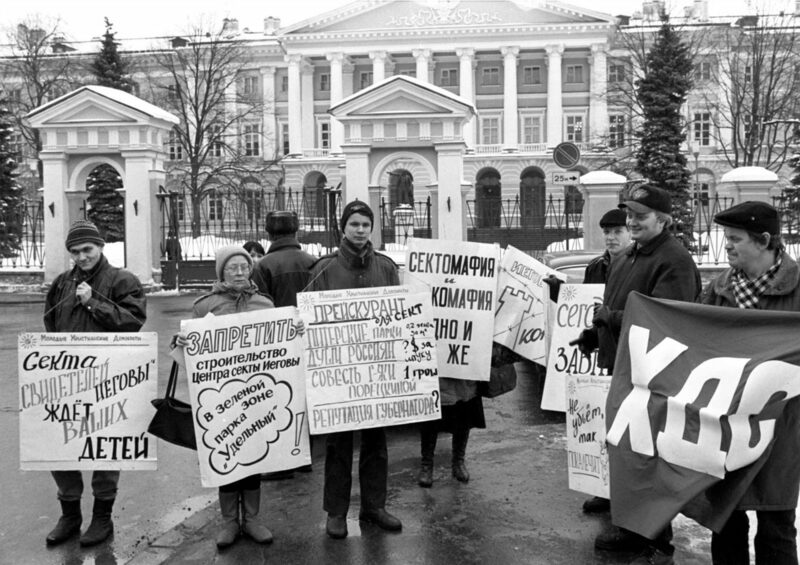 On the Penza branch’s website, you can find many articles about the peculiar memorial events held by the former KGB officers, including Route of Mercy, which provides “material assistance to veterans [of the KGB-FSB] who have been actively involved in the patriotic education of young officers.” However, after the December 2014 arrest of Vladimir Zarechnev, head of the Law and Order Center and a colonel in the FSB’s anti-corruption directorate, for brokering a bribe given to the governor of Sakhalin, the foundation has clearly curtailed the scope of its work. In terms of church policy, the position taken by the Kuznetsov family is also fairly clear. They are affiliated with the Pro-Life Movement within the church, which now operates under the name Association of Organizations for Protecting the Family. The movement is involved not only in opposing abortion but also in promoting radical anti-western and monarchist ideas. Judging by the blogs of the movement’s leaders, such as Ruslan Tkachenko and Father Maxim Kolesnik, liberals and Ukrainians are objects of special hatred. The movement’s leader is the Moscow-based Archpriest Dimitry Smirnov, known for his outrageous escapades. Smirnov heads the Patriarchal Commission on Family and the Protection of Motherhood and Childhood. With the general support of the Moscow Patriarchate, the ideological group of priests he controls has been lobbying for restrictions and bans on abortion and biotechnology, as well as opposing juvenile justice. On July 3 of this year, Kuznetsova’s husband, the priest Alexei Kuznetsov, posted an article on his Facebook page by a leader of the Pro-Life Movement, the Moscow priest Maxim Obukhov. The article had been published on the radical nationalist website The Russian People’s Line. The article frankly outlines the movement’s principles and objectives. “Everyone agrees, even Matviyenko, that the country’s priorities are the traditional family and procreation. It is a feature of our Eurasian civilization. This consensus exists among the various religions and social strata, with the exception of a narrow segment of liberals who do not represent the public. This universal understanding must be incarnated on the legislative level: we must shake up the legislation and change the laws. But this cannot be accomplished by sudden attacks and shouting. What is needed is serious creative and systematic work. Such work was done by Yelena Mizulina, who drafted a decent package of anti-abortion amendments. “Unfortunately, the Russian Orthodox community has not established its own lobbying groups, which testifies to [its] immaturity and the improper application of [its] exertions. However much we have struggled over abortion legislation, we have continued to avoid lobbying. Lobbying is staff work that requires systematic professionalism and quality. But we just march out, sword unsheathed, to various rallies and demonstrations. So it would seem the public has interpreted the sparse details of Ms. Kuznetsova’s life correctly. Her party’s program will be her main guide in her work as a high-ranking government official. All of her previous public work has somehow been linked to the radically anti-western segment of the ROC and Russian society in general. It suffices to say she systematically received donations from an organizer of the Russia-Ukraine war, the adventurer Konstantin Malofeev. In turn, she raised funds for the Lugansk and Donetsk People’s Republics in her own region. 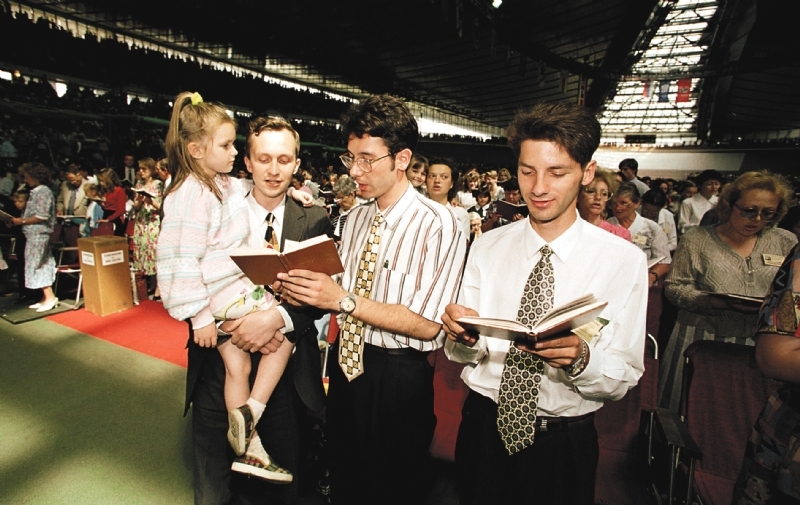 This replacement of Christ and religion in general by hypertrophied fears over family and children is a typical trait of the new Christian fundamentalism. 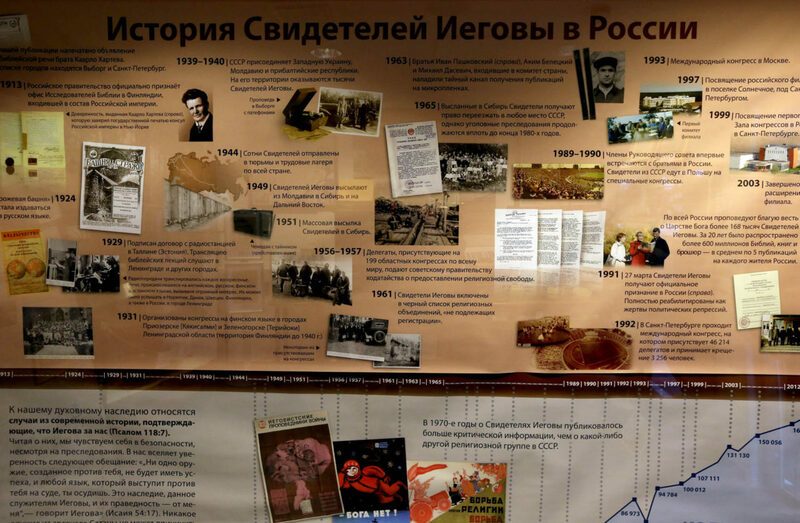 Under the patronage of the Life Center, it arrived in Russia via the US, and over the past decade, it has become popular in the intellectually secular circles of anti-westerners like Mizulina and Sergey Kurginyan. Whereas, ten years ago, Father Maxim Obukhov spun his horror stories about “black demographers,” sponsored by western foundations, “interested only in reducing the birth rate,” on the Moscow Patriarchate’s website, Russian politicians can often be heard saying such things nowadays. But the general public doesn’t necessarily need to know about Kuznetsova’s real views. The newly minted state official and her husband have already disowned telegony, blaming the whole thing on malicious journalists. This week, they will have to disown monarchism, a distaste for vaccinations, and doubt about the existence of AIDS. By appointing Kuznetsova, Putin has appealed to the so-called patriotic segment of the political spectrum, which, nonetheless, does not go in for excessively radical views and likes pretty pictures. For these patriots, traditionalism is when someone else has six children, but they still have the right to an abortion. In this circle, it is the done thing to jabber about the danger of vaccinations, but they will make sure to have their own children vaccinated. “Tradition” means wishing an atom bomb would rain down on America’s head after the Saturday evening news, but definitely taking the kids to McDonald’s on Sunday. So Kuznetsova’s public representation will be as false and ambiguous as Putinist propaganda as a whole. Kuznetsova will speechify on support for the traditional family, and once a quarter she will post a photo of a large family, a church in the background, on her blog, but she herself will be on business trip or just on her own, as has long been the custom in families with infants, apparently. First and foremost, judging by her statements, Kuznetsova will defend Russian children from adoption by foreigners. 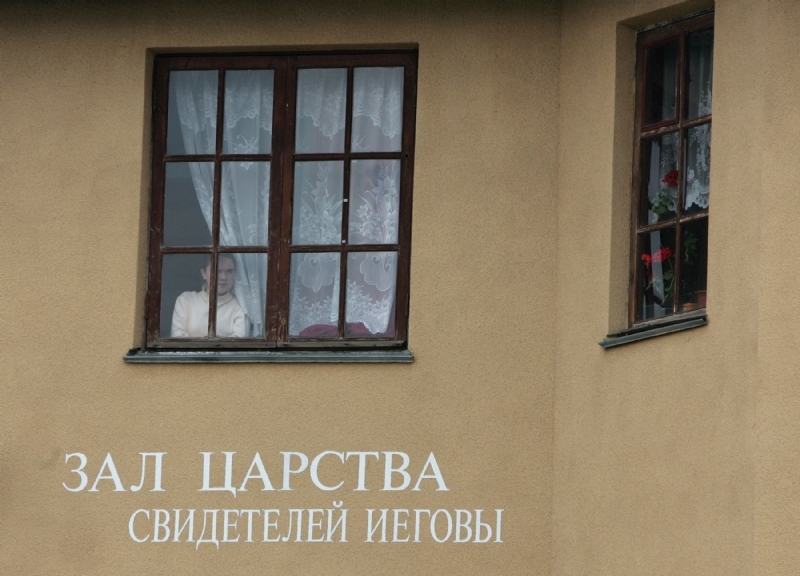 She is unlikely to bother to do anything about the longstanding problems of oversight of Orthodox orphanages and foster families who have taken in dozens of children to raise, but she has already promised to deal as harshly as possible with Moscow School No. 57. The country will hear a lot about the hardships of children in Donbass, but don’t expect to hear anything news about the lives of children in Kuzbass from the ombudsman’s office, and good-hearted anti-Putinist Muscovities will continue to raise money for the medical treatment of both groups of children. The fight to outlaw abortion will intensify, and Kuznetsova will become the main ally of Vitaly Milonov and his soul mates in the new Duma, but in the next five years there will probably be no drastic changes in this area, because the presidential administration will not back off from its neutral stance. And, of course, the employees of Kuznetsova’s foundation will not be idle. They will have to allocate many more presidential grants and sponsorship money. A place at Putin’s right hand is worth a lot. Like Matviyenko, Pamfilova, Moskalkova, and Vasilyeva, Kuznetsova is following the peculiar career path of Russia’s sovereign feminism. The number of women in senior positions in Russia has increased in Russian years, and I would not be surprised if, ten or so years from now, the selfsame Kuznetsova, having done a couple of ideological flip-flops, takes up the post of defense minister in a future (not necessarily Putinist) government. That would make sense in its own way.